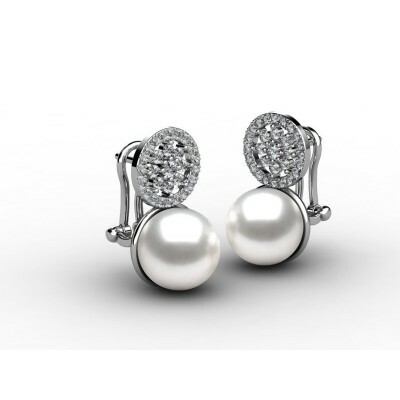 Classic and simple style earrings 4 claws created with brilliant cut diamonds. 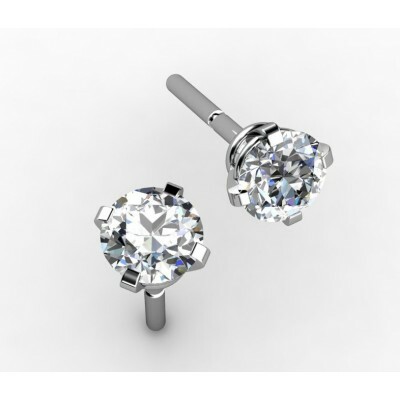 Very comfortable to wear every day. 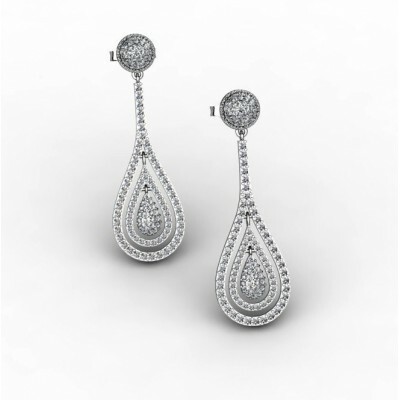 Timeless jewelry, MUST HAVE for every woman. 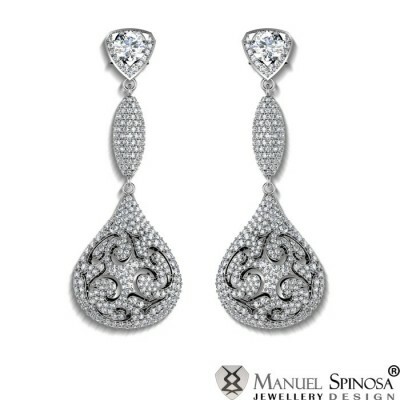 If you prefer anothe size of the Diamonds, contactus right now and our specialists will finde the best option for you. 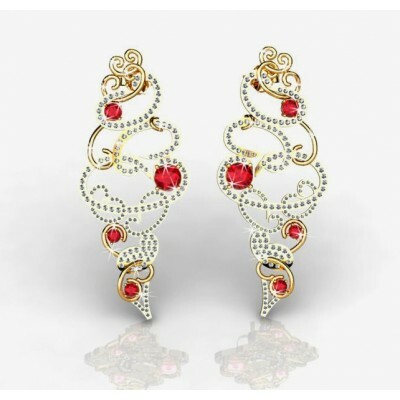 Spectacular Long Silver Plated Earrings decorated with Zircon. 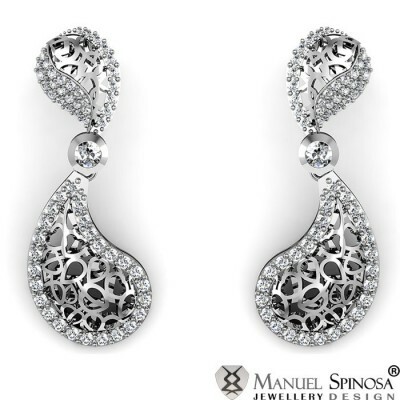 Innovative Spinosa Spiral Design Earrings made with 12gr of 18k White Gold and 60 Brilliants with a weight of 0.954ct-HVS1. 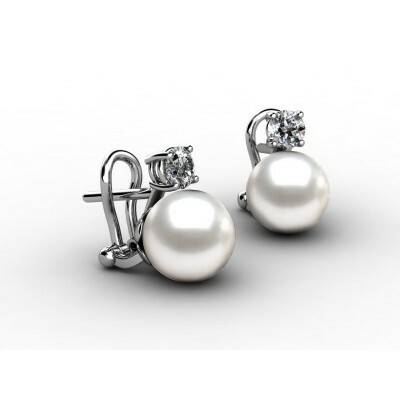 Each earring has a cultured Pearl of 8mm and is decorated with Brilliants. 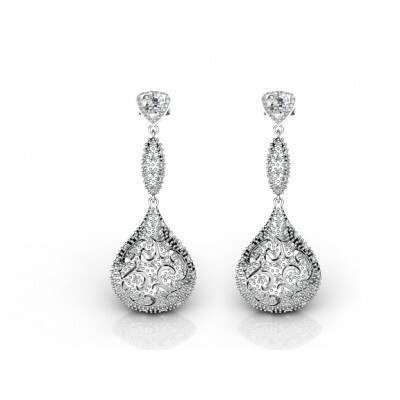 Looking for diamond earrings? 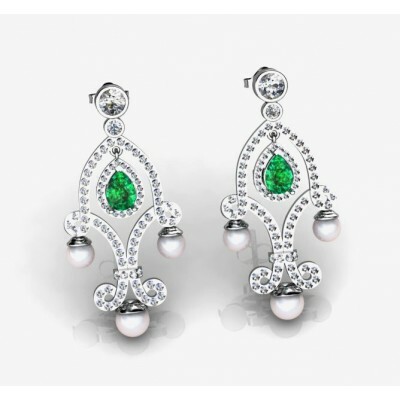 These earrings are made of 18K white gold with 2 brilliant cut diamonds, secured in 4 claws. 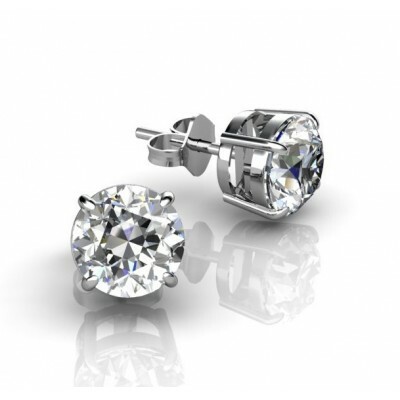 They will fit you perfectly, no matter what the ocassion is. 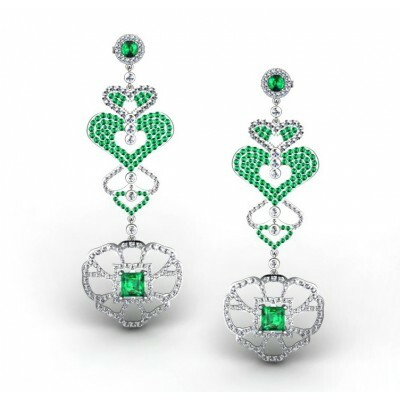 Heart Shaped Earrings made with 11.18gr of 18k White Gold and 104 Brillants with a total weight of 1.227ct-HVS1 and 2 Brillants of 3.5mm with a total weight of 0.33ct-HVS1.